Being one of the last three hotels located right inside the ancient town of Hoi An, Tribee Bana offers its guess unique views and the ease of transportation. 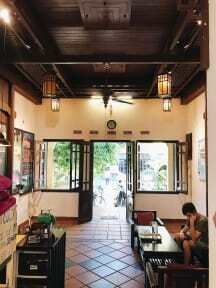 Tribee Bana is more relaxing and chill out place among 5 Tribee hostels in Hoi An. With shared dorm rooms (3-4-5-6 people/room) and NO BUNK BED, air-condition, en-suite bathroom, especially large and funky common area. Tribee Hostels has social atmosphere (and a bit party) which is an oasis for you to refill your energy (easily connect other travelers) after long time traveling or long day with load of activities. 1. Check in Time: from 14:00, latest check-in time is 6:00p.m. If you arrive after 6:00p.m, please send us a message, if not we will automatically sell your bed. Thank you! 4. At least 1 day advance notice for free cancellation. As we welcome you in person at Tribee Hostels. If you have any question, our friendly and helpful staff will give you more information should you need, we do our best to make you feel like home. 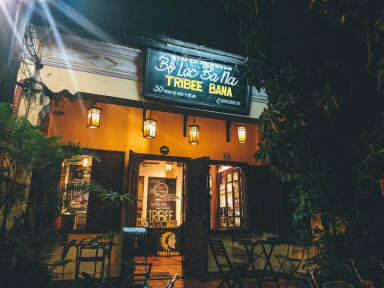 Tribee Hostels are the best hostels to stay, experience Hoi An's culture and connect people from all over the world! Amazing hostel. Cannot recommend enough, it’s in a perfect location, the free breakfast is the best we’ve had, rooms are clean and comfortable, staff are helpful and it’s a great atmosphere. The street food tour is great and we would thoroughly recommend the lantern making class booked through the hostel. Best place to stay in Hoi An!! This was easily one of the best hostels I've ever stayed at! First, the staff at this hostel were the absolute best! The staff are incredibly helpful and kind. The vibe in the hostel is also unreal. It's very open and social and therefore makes it very easy to meet people and make friends. They have many activities every day. I did both the street food tour and spring roll class and both were definitely worth participating! I could go on forever, but you get the point! Loooved my stay at tribee bana! Clean, great breakfast, best location so close to all the markets. Great atmosphere Le and Tri are the best and so fun! They ran really good activities. stay here! The staff is so sweet and helpful! It’s not a party hostel but if you feel like partying, you can go to the other Tribee. The pool party at Tribee Ede was awesome! The street food tour & bicylce tour were free and it was really interesting. The eco cooking class was the best I’ve ever done, would really recommend it! The location of Bana is really close to the old town, it was perfect. The staff were so friendly here at this hostel. We had a great time. It was nice to have a room with four beds that weren’t bunk beds. I had a great stay here. Thuy, Le, and Hien were so helpful and friendly, I didn’t want to say goodbye!! This Tribee seemed a bit more relaxed than some of the others, but it’s still as social as you want it to be. The rooms have great AC, and the beds are the softest I’ve slept on in SE Asia. It’s located super close to the market, old quarter, and some of the best tailor shops. I would definitely return!